You know the season to be jolly is upon us when the Google Doodle has turned white and snowy. 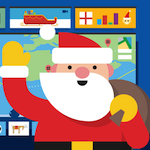 Another sign of the Christmas season's arrival we look forward to each year is when we start tracking the world's busiest Amazon delivery driver Santa Claus's progress in delivering presents with the Google Santa Tracker. 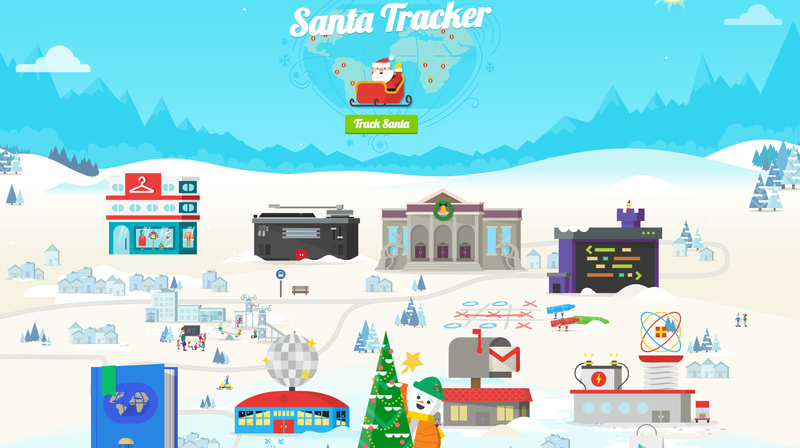 Google's Santa Tracker and Santa's Village are both making a return this year, with a couple of new additions. 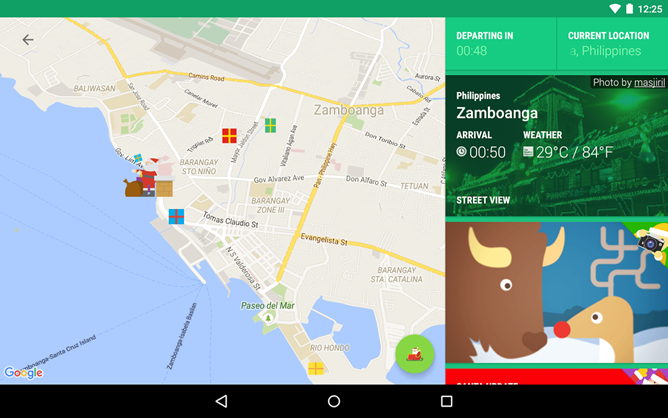 This year Santa has decided to enable location sharing in Google Maps, giving you another way to follow his location come Christmas. This year's app seems mostly the same as last year's, with a minor bump in version to 5.3.0 from 5.1.4, but it's available now for your kids (or your inner kid) to enjoy. 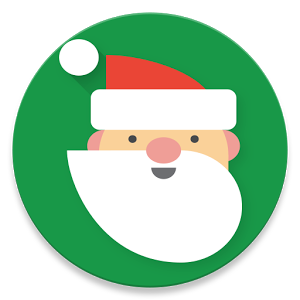 You know it's getting to be that time of year when Google updates the Santa Tracker app. 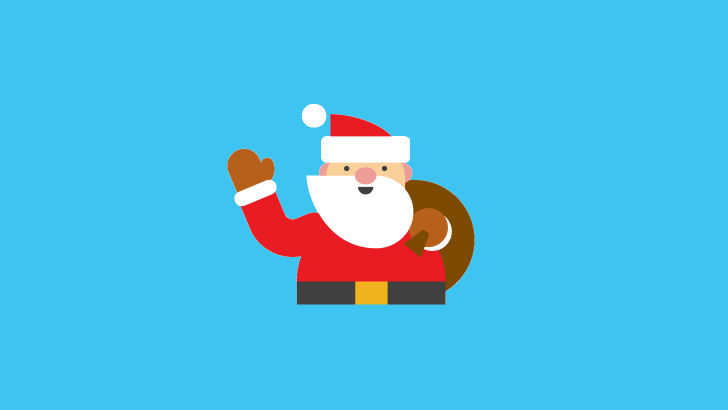 Yes, the app has gotten its 2017 makeover so you can follow Saint Nick on his totally real journey across the globe. The updated app includes some new games, Android TV support, and more. Christmas is here. Yes, I know it's April 6, but for developers and nerds, Christmas falls any day they can take the wraps off some code and look through every line and function to see how things are built. It's like finally being able to disassemble that remote controlled car after playing with it for weeks and seeing how the motor turns and triggers the wheels. 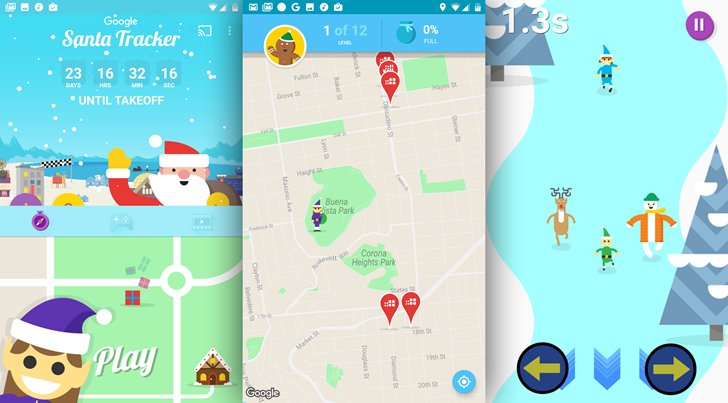 And Google does this every year: in December it releases the Santa Tracker, then a few months later, it open sources it for developers to put on their nerdy scuba masks and dive deep into what makes the magic real. It's the most wonderful time of the year... the time when it's almost over. But it's also that turn in the calendar when a couple of billion people look forward to celebrating Christmas, and the youngest portions of that subset start improving their behavior in an avaricious desire for more presents. 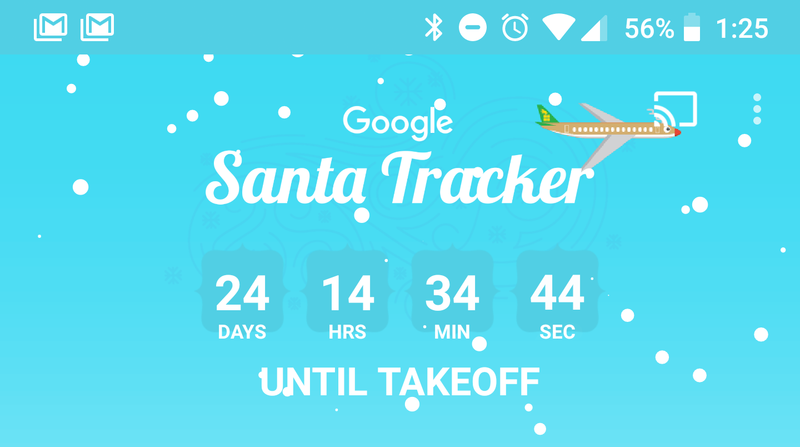 Google's taking part in its yearly ritual too, indulging whimsical parents and obsessive-compulsive children with its Santa Claus countdown-slash-tracker app. Is it Christmas time already? Not quite, but we don't have long before kids start counting down the days to Santa's visit. When they ask, Google is again ready to provide an answer. Santa Claus is coming to town. I shouldn't have dropped such major news on you like this, but it's happening and you have so little time to get your affairs in order. 11 days now separate us from his jolly visit which, unlike all other relatives who drop in for the holidays, is short, straight to the point, and rather beneficial. 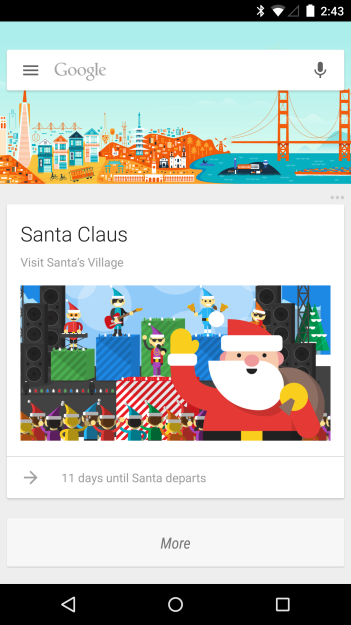 If you want to stay updated on the projected arrival of the present-carrying cookie-eating sleigh-riding bearded old man, Google Now is offering you a new card to help track him down. 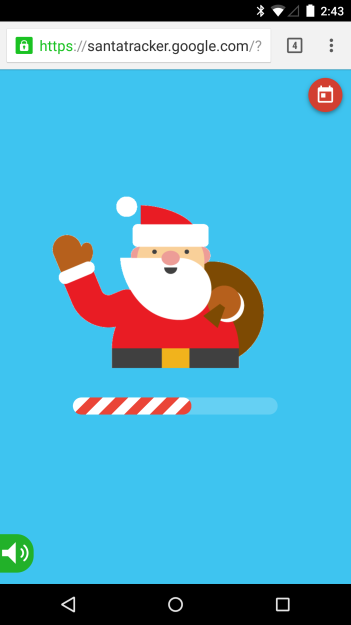 Simply search for Santa or ask Google, "Where's Santa?" and you'll get a result that redirects you to the Santa Tracker site. came an app that we'd all seen just one year before. with a sizeable update for Twenty-Fourteen.